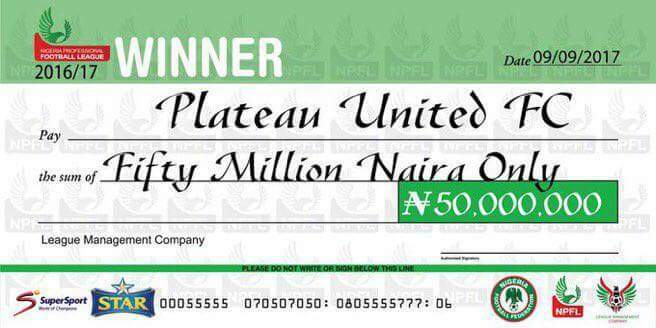 Plateau United have emerged as the 2017 Nigeria Professional Football League (NPFL) champions after 38 games. 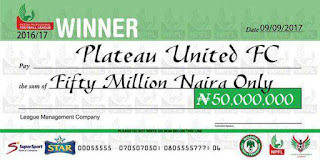 Plateau United clinched the title on the final matchday with a 2-0 win over 2016 champions Enugu Rangers at the fully packed Rwang Pam Stadium on Saturday, September 9. 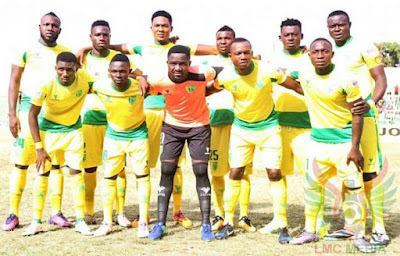 Benjamin Turns in the second half ensured that the Jos-based side win their first NPFL title in their 42-year-old history. Guys what's your take on this amount small or big? ?